The Marvel blockbuster and conclusion to The Avenger’s storyline is finally putting their tickets on sale. The Avenger’s have been through several individual movies as well as a few joint adventures and we will see several storylines wrap up in the conclusion of their two part battle with Thanos. With half of The Avengers removed and contracts of some of the main characters wrapping up, the three hour spectacular should be appointment viewing for any comic book or Marvel cinema fan. Check out AMC Ticket Prices here. The Marvel Cinematic Universe burst on the scene with the casting of Robert Downey Jr. as Iron Man, which was released in 2008. This running plot line has been worked on for over a decade! From Iron Man the Marvel Universe went on to expand into several films including the Guardians of the Galaxy series, The Hulk, the Thor series, Ant-Man, Captain America, Captain Marvel, Black Panther, and so many others. Each hero gaining their own film or films with their own respective villains and storylines which over time overlapped with the main story of the Avengers Initiative. The Marvel Cinematic Universe helped to pioneer the after credits scene. While other movies would should outtakes or funny videos following the conclusion of their films, Marvel used these scenes to break out into the most important crossover parts of the story. Now, you will find people refusing to leave until the lights come up at movie theaters all over the United States because of how important the Marvel movies have made post-credit scenes. Often in the Marvel post-credit scenes the protagonist or hero will be reflecting on their recent hard fought victory, and Samuel L. Jackson will happen upon them as a character known in these films as Nick Fury, who also appears in the comic book version of The Avengers. Jackson as Fury would sit down and begin discussing the Avengers Initiative until the screen would cut to black for the final time. The Avengers already have had one major film together in the early days of the franchise which was very well received by both critics and those passionate about the comic book films. 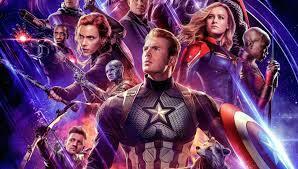 With the universe becoming so expansive the conclusion of the set of storylines built through countless full-length feature films will be one of the most see events of the summer, but also one of the longest films of the summer as The Avengers Endgame will total just a shade over three total hours. These films have become such a phenomena that the ticket release on the first day crashed several websites, and those that did not crash had some purchaser’s waiting as many as a full hour to get their purchase in. If you don’t get your Marvel fix in Endgame, the Marvel version of the Spiderman reboot will also be coming out July 4th weekend, so keep your Spidey Senses sharp as a whole new Marvel Cinematic Universe connection is set to unfurl as early as the middle of the Summer.